Buchner Funnel are moulded in Polypropylene. These two piece funnels are light weight, easy to clean & autoclavable. The top portion can be snap fitted with the lower one forming a vaccum seal which does not require greasing. The base of the top portion has a perforated filter plate. 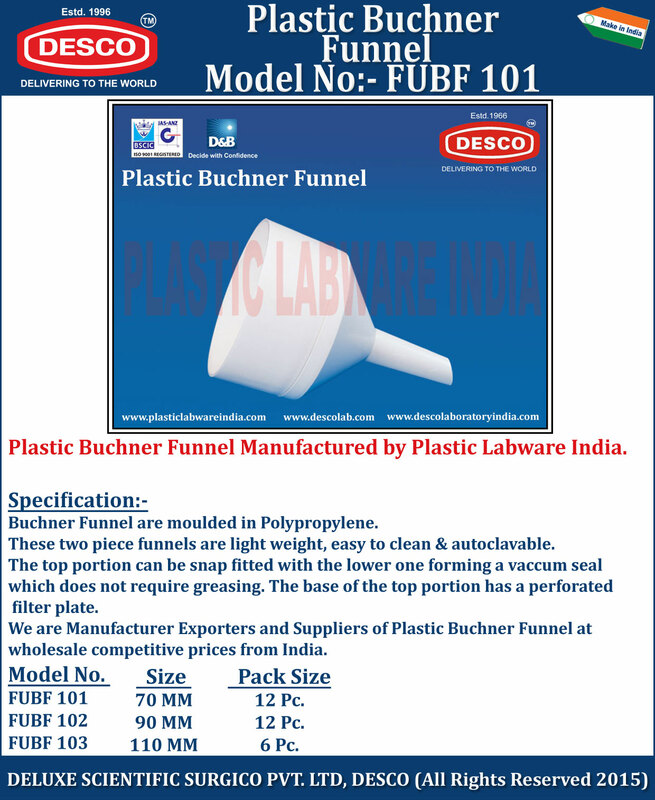 We are Manufacturer Exporters and Suppliers of Plastic Buchner Funnel at wholesale competitive prices from India. FUBF 101 70 MM 12 Pc. FUBF 102 90 MM 12 Pc. FUBF 103 110 MM 6 Pc.